Thank you for a wonderful show. The winner of the door prize is Claudyne H.. 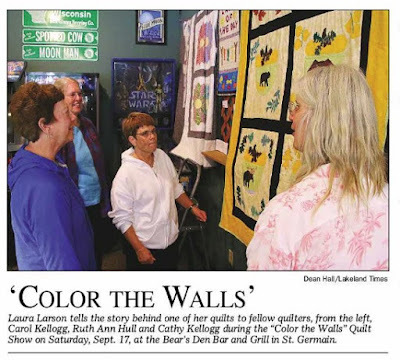 Sponsored by: The Bears Den Bar and Grill, Plum Lake Quilting, Cheri’s Fabric to Quilt, Arlene’s Pottery and Gallery, Fabric Patch and Area Quilters. Please see www.landbtrails.net or email Laura at LandBTrails1@gmail.com for details.